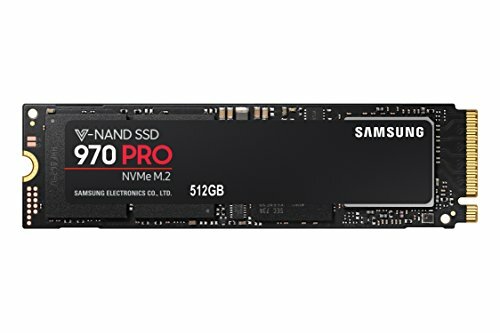 It’s over 18 months since the Samsung 960 Pro debuted. That’s an aeon in the ironically fast-moving world of solid-state storage. Inevitably, there’s a new controller chipset here, the Samsung Phoenix. 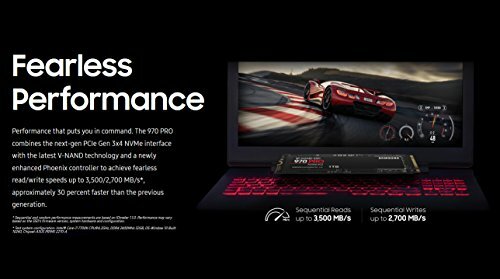 We saw it before in the 970 Evo, the 970 Pro’s cheaper sibling. Not much is known about Phoenix. 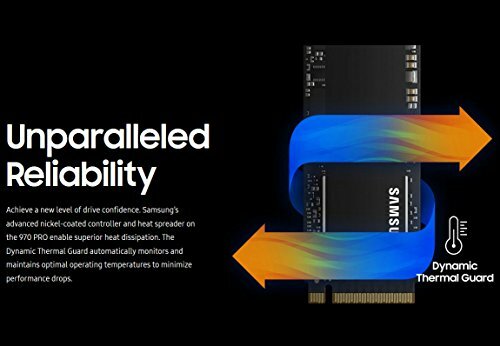 Just like Samsung’s previous NVMe controllers, Phoenix uses a PCIe 3.0 quad-lane interface with eight channels. It also has five CPU cores, like the outgoing Polaris. 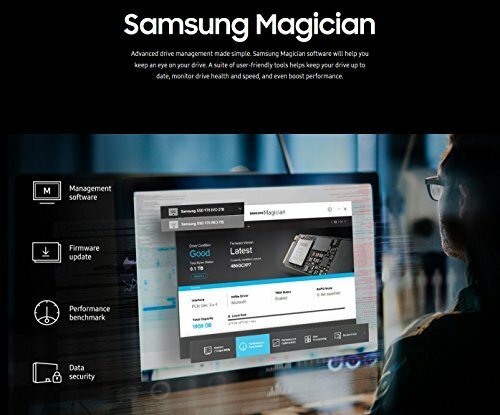 Samsung never goes into detail when it comes to the specs of its SSD controllers. That said, Phoenix is also used in Samsung’s mega money enterprise SSDs, so it’s clearly the company’s best controller tech. We also know that the 970 Pro uses Samsung’s new 64-layer 3D MLC V-NAND. Such is the data density of this new gen of NAND flash memory, its 512GB TLC dies allow for 1TB in a single BGA package. That makes larger capacities easier and cheaper, even if this Pro model remains a premium- priced proposition. Still, for the extra money, Samsung provides significantly more drive endurance. 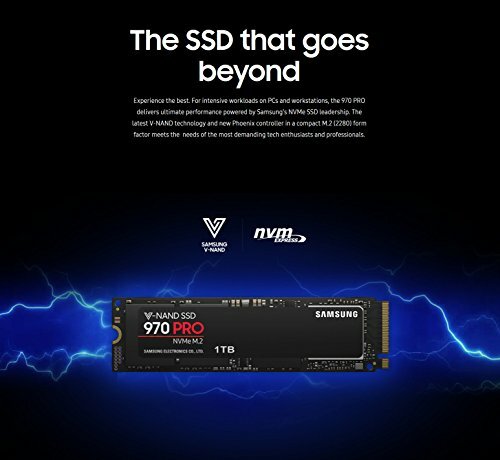 The new 970 Pro is far ahead of both its predecessor and its 970 Evo sibling in that regard. 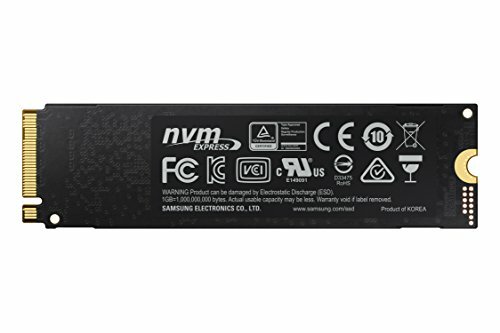 The old 960 Pro 500GB drive was rated for 400TB of writes, and the 970 Evo is good for 300TB – the 970 Pro 512GB is rated at fully 600TB. The on-paper progression from 960 Pro to 970 Pro is significant, but not always dramatic. Max sequential reads remain pegged at 3.5GB/s, probably reflecting the real-world limits of the quad-lane PCIe interface. Sequential writes for this 512GB model have stepped up from 2.1GB/s to 2.3GB/s. As for 4K performance, that’s up from 330K IOPS for reads to 370K IOPS. Writes increase from 330K to 500K. In benchmarks, our results indicate the peak throughput claims are pretty much on the money. Unlike cheaper drives, such as the Kingston KC1000, the 970 Pro maintains performance close to the claimed peak throughput, regardless of the benchmark. Even more impressive, arguably, is the 970 Pro’s real-world performance. It absolutely tears through our internal file copy test, completing it in just 29 seconds. That’s twice as fast as the new Kingston KC1000. During our pre-test setup, which involves completely filling a drive before wiping it clean again, the 970 Pro sustained internal file copy speeds of around 1GB/s. 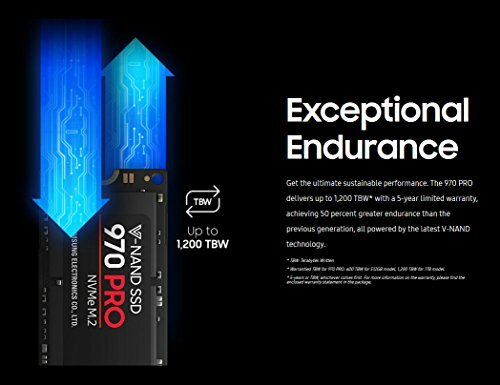 Very few SSDs can achieve anything close to that kind of sustained performance over hundreds and hundreds of gigabytes. 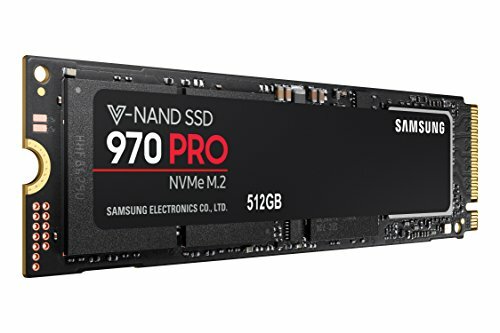 Overall, then, it’s likely that the 970 Pro remains among the best if not the very best consumer SSD. The step forward this time is arguably a little more modest in some ways than before, but that only reflects the limitations of NAND memory tech hooked up via a PCIe 3.0 interface. A bigger leap forward probably requires a step-change tech, like Intel’s 3D Xpoint. But for now, the 970 Pro is about as good as consumer SSDs get, albeit at a price.